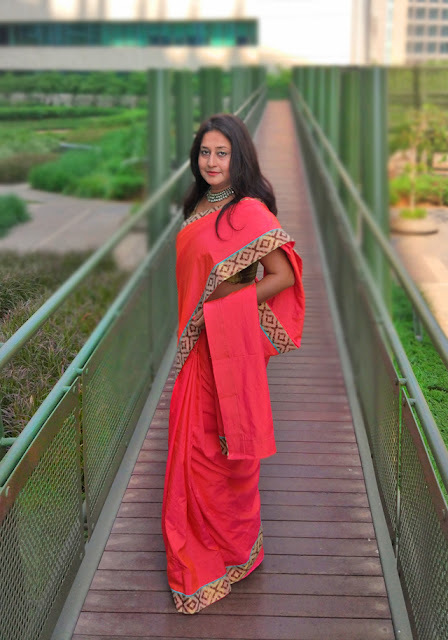 The beauty and elegance of a saree is unmatched! 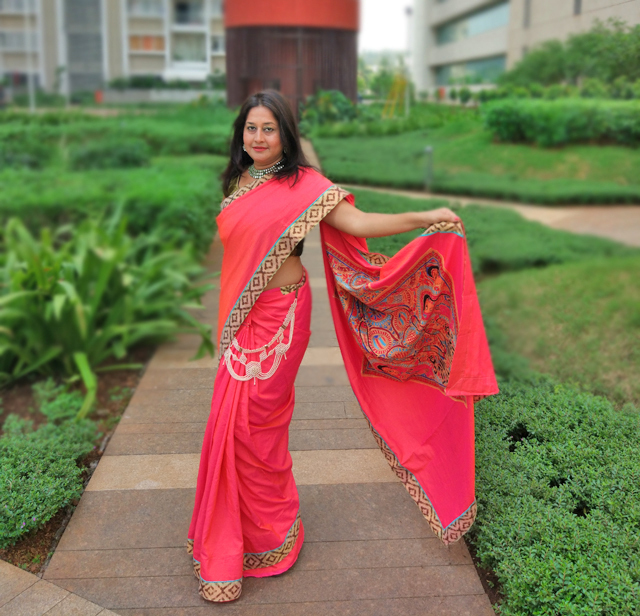 The six yards of a saree add a touch of femininity and radiance to any wearer. 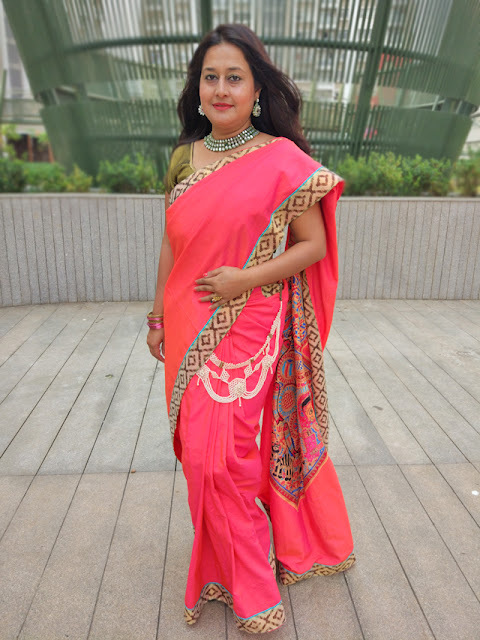 Over the years having watched Ma drape various kinds of sarees with an unbelievable expertise, I always yearned to own a few sarees of my own. Confusion often won over choice as there are many options available, as I wanted something unique. 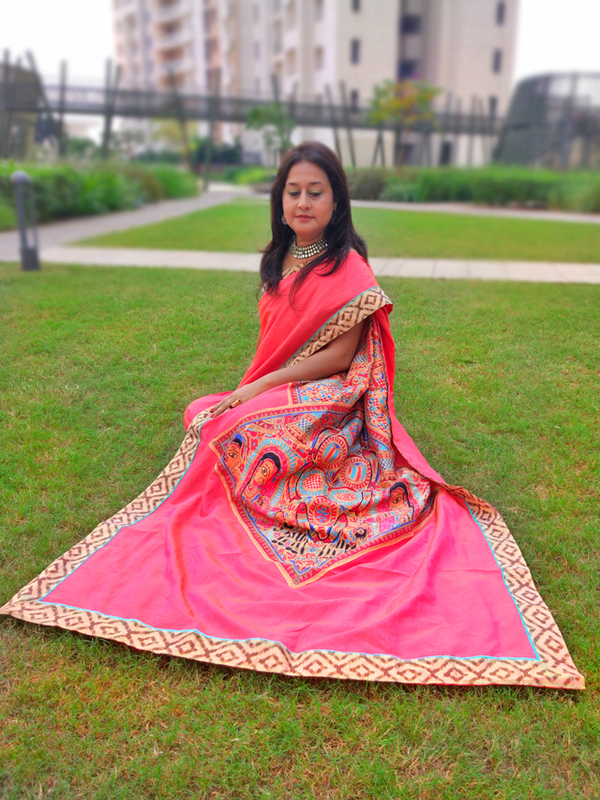 I came across a wonderful "Madhubani" saree collection by Triveni Ethnics and chose one instantly! Ma pestered me to wear it immediately but I took my time. Finally, I could wait no longer and succumbed to the charm of this wonderful attire that in every fold talks about the hard work of its weaver! The saree was a beautiful creation in art silk fabric that gelled well with a kundan set - traditional Indian gemstone jewellery. 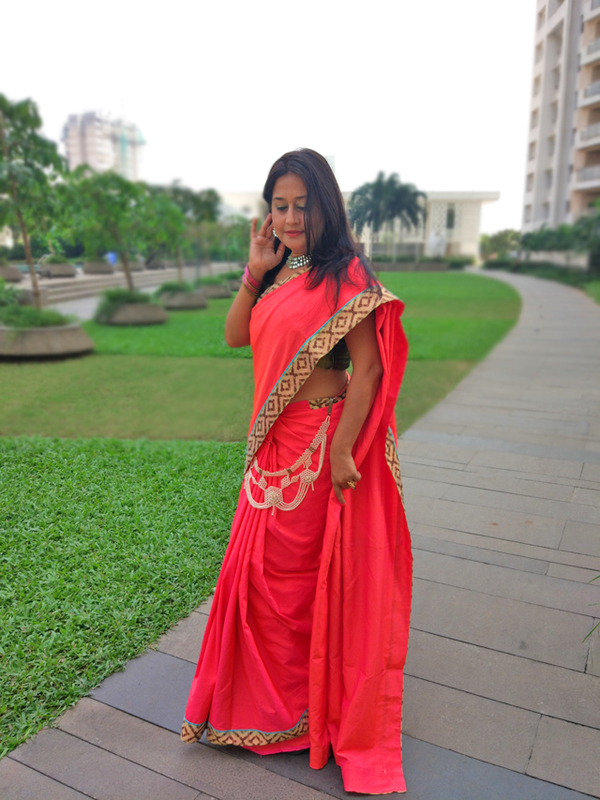 A pearl kamarbandh- type of ornament worn around the waist added subtle glamour to my drape. The pallu with an intricate Madhubani print patch was my favorite part. Madhubani painting- a popular art form, practiced over centuries, originated from various communities of Mithila region in India and Nepal. Originally done on floors and walls, Madhubani art form was later also practiced on canvass, paper and cloth. Madhubani paintings mostly depict nature in form of flora and fauna, religious motifs and themes around deities. Sometimes religious and social events like weddings are also featured. Madhubani, which literally means "Forest of Honey" is an celebrated art form all over the world! So beautiful. Like you are a living art work , created by a master painter.